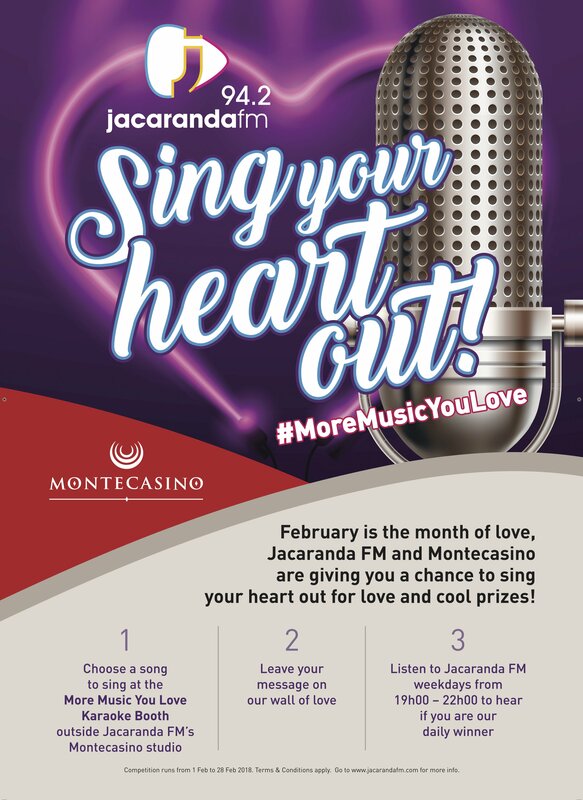 February is the month of love, Jacaranda FM and Montecasino are giving you a chance to sing your heart out for love and cool prizes. Are you ready to win some great prizes this February? We want to show you some love this February. You can win some amazing Jacaranda FM daily prizes and 1 of 2 grand prizes. So what is this grand prize you ask? You can win 6 months of romantic treats at Montecasino and double tickets to all Jacaranda FM More Music You love Experiences. Make sure you listen out to Danny Painter every weekday evening from 19:00-22:00 and she will be showing you a little love this February.